2. Starlooks: After traveling, I generally have a dinner or something related to the trip where I revive my face with some makeup. One of my favorite ways to sample high-quality beauty products is with Starbox, a unique subscription service that delivers the latest makeup trends right to your doorstep every month. Not only does this kit feature a range of high quality makeup, I love the collection of eye shadows, body butters and more that allows you to test out a variety of the unique offerings on Starbox. 3. Burts Bees Sensitive Facial Cleansing Towelettes: At the end of a long day of travel, I love letting my skin breath and taking off all of my makeup. One of my favorite ways to do so is with Sensitive Facial Cleansing Towelettes with Cotton Extract. Not only do they remove makeup, they also cleanse and tone the skin and the cotton in the wipes is super soft and gentle for any skin type. 4: Pura Botanica: Luxurious, Travel-Safe Bath & Body Accessories: My role at Momtrends takes me to many unique and fun places. Generally these trips are for a few days so I try not to check my bags so my beauty items have to be TSA compliment. 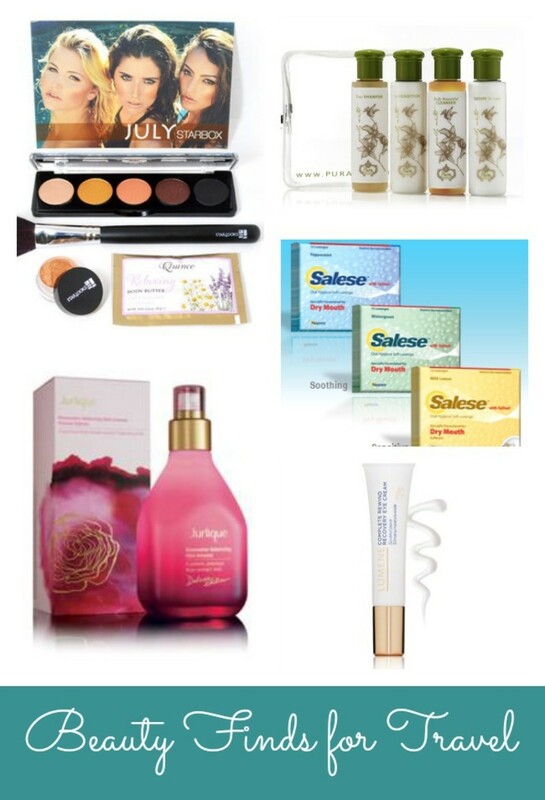 Recently, I have been using Pura Botanica and theirFreshly Minted Travel Kit. This cool all-in-one collection of Natural Products Association (NPA) Certified All-Natural bath and body essentials includes True Shampoo, In Condition, Lotion to Love and Body Beautiful Cleanser - providing you with all the natural beauty essentials you need. I also love how they come in sturdy, biodegradable bottles that are infused with mint -providing a refreshing and luxurious scent. 5. Jurlique Rosewater Balancing Mist Intense Deluxe Edition: CIf you are checking your luggage, you don&apos;t want to forget the limited edition Jurlique Balancing Mist. A delicious combination of five rose extracts (Rosa Gallica, Rosa Centifolia, Hibiscus Rosa Sinensis, Rosa Canina and Rosa Multiflora) I love how light and refreshing this scent is. It is also packaged in a beautifully bottle that holds 10,000 rose petals! Additionally, each bottle purchased donates 20% to Chrysalis, a nonprofit organization dedicated to helping homeless and low-income individuals by providing the resources and support needed to find and retain employment. Part of the Jurlique Ideas of Beauty Fund; A spritz of this mist will go a long way! 6. 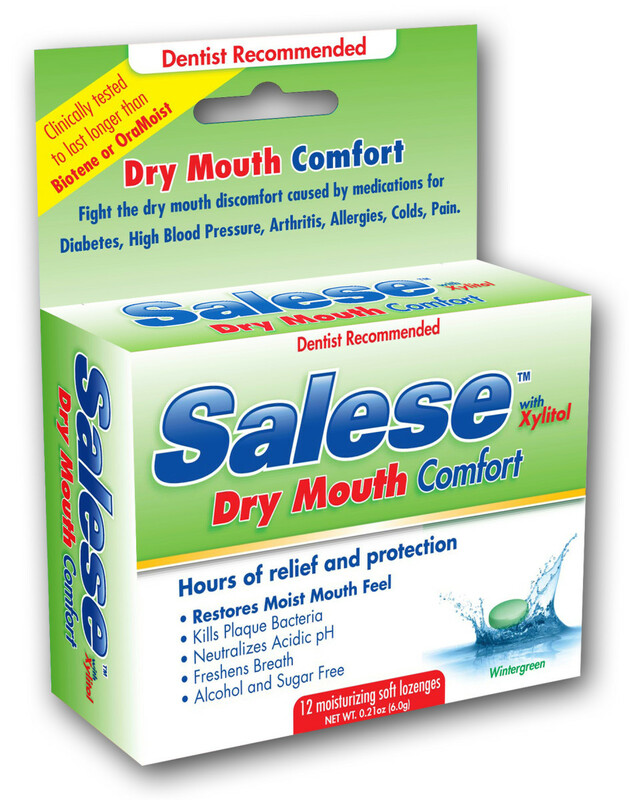 Salese: Sometimes after a long flight my mouth gets really dry! A quick and simple way to get relief is with soft lozenges from Salese. Not only do they treat dry mouth, they also neutralizing acid pH levels, killing 99.9% of bacteria and helping to eliminate germs that cause bad breath. Salese is available for $5.99 in Peppermint and Wintergreen flavors as well as a a sensitive formulation for people with mouth sensitivity at DrugStore.com, Walgreens.com and ShopRite.